Use our ActiveCampaign to send visitor form data to ActiveCampaign Lists as a Contact. 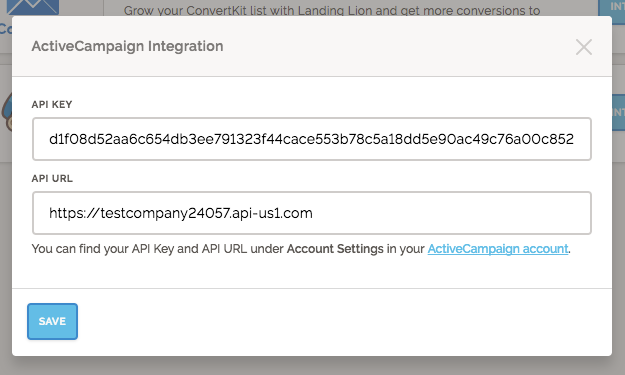 Assign Lists and Tags to your Landing Lion page and all new form data will be forwarded to your ActiveCampaign Lists with Tags you selected. 3. Find ActiveCampaign in the list of Integrations and click the blue Integrate button. 4. Paste your API Url and API Key into the form. 5. Click "SAVE" to finish integrating with ActiveCampaign. 6. Select one or more lists and tags from the dropdown menus. All emails and names collected from your pages will now be sent to your selected ActiveCampaign Lists. If you use custom form fields in ActiveCampaign, create a Form Field Map between the form fields in your page and ActiveCampaign. 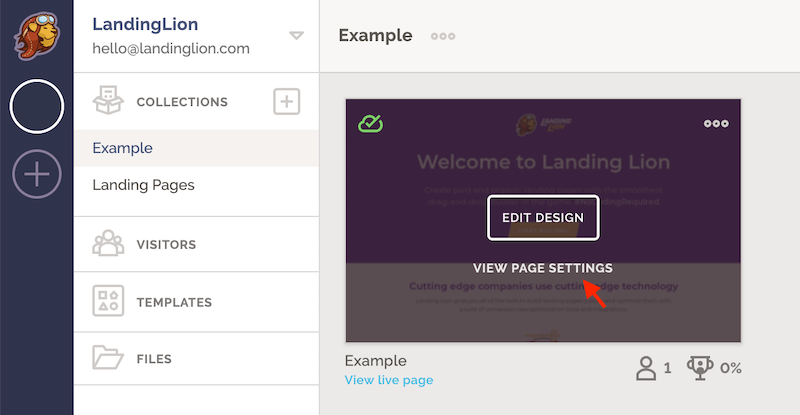 By default, only email and name fields are added to your ActiveCampaign Lists. Map the form fields from your page to ActiveCampaign Custom Fields and record more data for each Contact. 1. Scroll down to the bottom of the page and click the Integration Settings button. 2. Scroll to the ActiveCampaign box and click Map Form Fields. 3. 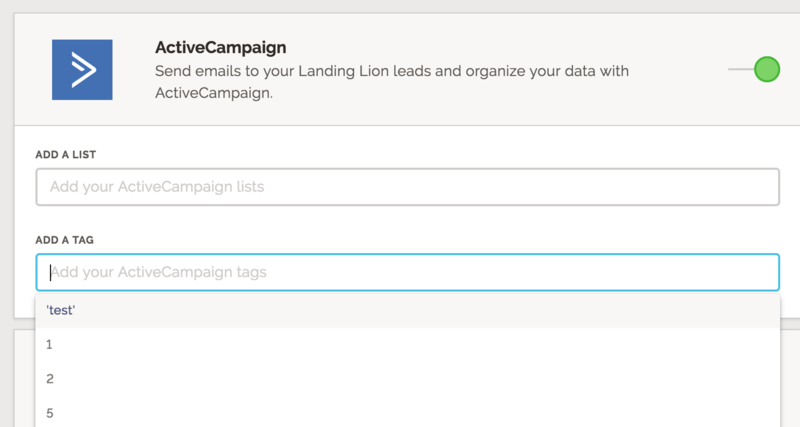 Map the Landing Lion form field (on the left) to the ActiveCampaign field (on the right) so that we can send your data correctly to ActiveCampaign. ⚠️ Note: Only TEXT custom fields in ActiveCampaign are supported for mappings. 5. Create a Form Field Mapping for each ActiveCampaign Custom Field you use.